Mr. Katz is much more than your Denver franchise attorney; he is your adviser and franchise guru. Franchising is a sophisticated and complex business model. Choosing the right Denver franchise lawyer is an important step in decoding the steps needed to reach ones goal. Mr. Katz has over 28 years of experience in the field and brings to bear this experience and expertise when working with his clients. To this end, Mr. Katz works with prospective franchisor clients on the development, structuring, and registration of initial franchise offerings. Mr. Katz provides a comprehensive and proven process to facilitate the implementation of your franchise concept, based on over 20 years of experience as a Denver franchise attorney. This includes the drafting of the federally mandated “Franchise Disclosure Document” or “FDD”. 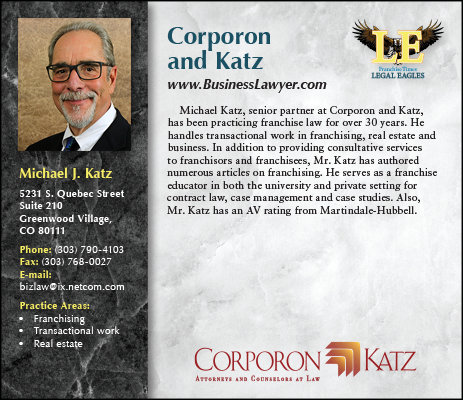 Franchisor clients also benefit from Mr. Katz’s business, transactional, and real estate practices in the drafting of this document since a fully realized franchise system will include the consideration of these areas of the law. Mr. Katz provides an overview of the franchise industry in general. He listens carefully to your ideas and reviews your business documents to understand what you have to offer. As a Denver franchise attorney, he clearly explains the role and responsibility of a franchisor as both a mentor to new franchisees and as the administrator of the franchisor business. To best represent your business concept in the FDD, Mr. Katz has the franchisor complete a proprietary 35-page questionnaire. This process compels the franchisor to focus on the core aspects of the opportunity and results in a more educated franchise administrator. Based on the consultation and completed questionnaire, Mr. Katz drafts a customized FDD. He and the franchisor review it in great detail to insure that the franchise concept is fairly described, and the many specifics are clearly presented. Mr. Katz uses this process to continue to educate you in the legal and business obligations of a franchisor. As a Denver franchise lawyer, Mr. Katz works on an ongoing basis as counsel for issues related to business, administration, and ethics of the franchisor, as well as providing practical feedback to everyday problems. Written by Michael J. Katz, this chapter was originally published in “International Franchising” available on Juris Publications. This should be read by anyone new to franchising in the United States. 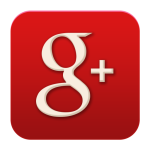 It is useful for new franchisors or franchisees and for franchisors or franchisees from foreign countries.